Dana White is breaking new ground in his career. The UFC President was spotted at Santa Monica's Wild Card West boxing club this week and admitted that he's been flirting with the sport. In fact, he's not just flirting with boxing, he is in the process of getting is promoter's license. White made about $400 million last year when Lorenzo Fertitta sold the UFC to talent agency WME/IMG. 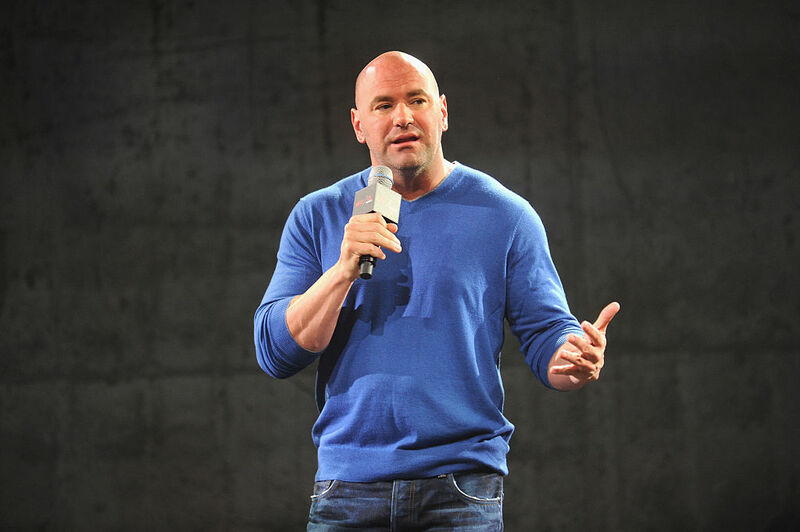 As part of the deal, White agreed to remain the highly visible President of the UFC for at least five years. This new interest in boxing isn't a departure from ultimate fighting, but rather an addition to it. White and WME/IMG head Ari Emanuel, are bringing boxing to the UFC. This makes sense in a way. After all, the match-up between boxing's Floyd Mayweather Jr. and the UFC's Conor McGregor in August was the biggest ticket in town. You can see why White and Emanuel would want the UFC to cash in on some of that lucrative boxing cash. But it goes deeper than that for White. In his younger years, he quit his job as a bellman at a Boston hotel to become a boxer. He worked menial jobs in gyms just to be around the sport. He moved back to Las Vegas, where he attended high school, and got interested in mixed martial arts. It was White who convinced his childhood friend Lorenzo Fertitta to buy the UFC in 2001 for $2 million. Fifteen years later, Fertitta sold the UFC for just over $4 billion. White's background in boxing and years of experience running and promoting the UFC give him a good foundation for becoming a boxing promoter. Within the sport, good promoters are needed. Nowhere is that truer than at Al Haymon's Premier Boxing Champions. Haymon has about 200 boxers in his league and uses a number of different promoters. He could use a singular, powerful voice. For now though, White is doing his homework. While he was at Wild Card West this week, he was spotted hanging out with seven time boxing trainer of the year Freddie Roach. When it comes time for the UFC to officially enter the boxing ring, White will let the world know. The full accuracy of White's claim hasn't been determined, but he does reportedly have investor reports indicating 2017 as the most lucrative year in UFC's history backing him up. Dana White says the UFC is talking to Floyd Mayweather Jr. about coming out of retirement to fight in the Octagon. The UFC President doesn't believe that Conor McGregor has much motivation to return to the Octagon – or a ring of any kind.